Microsoft, a leading technology company, said its latest mobile application, Kaizala Pro, is now commercially available across Saudi Arabia. Microsoft Kaizala is an app that improves the way businesses communicate and collaborate. It’s designed for large group communication, workflow management, reporting and analytics, and is integrated with Office 365, said a statement from the company. Ammar Abu Thuraya, business group lead for application and service in Microsoft, said that the app addresses several challenges faced by many businesses across the region who manage field staff remotely. “The app is ideal for organisations that need to communicate with large numbers of task workers to enhance business agility, collaboration, and organisational productivity,” Thuraya said. Kaizala also provides actionable information through analytics and reports, while complying with industry security best practices, it added. 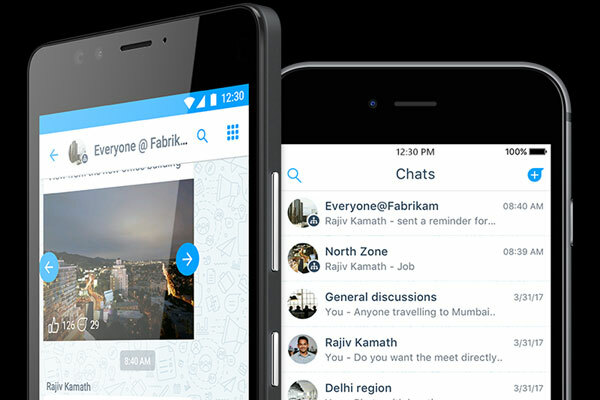 Unlike other chat-based apps in the market, Kaizala extends beyond a mere communication function. Because many workers in the region often don’t have an email address, Kaizala only requires a mobile number to sign a user up. The app is also optimised to work on any network – including 2G networks, said a statement. *Communicate with and manage an unlimited number of users. This includes employees, front-line workers, customers and suppliers. Organisations can create flat, hierarchical or discoverable public groups in minutes from contact lists, directories or ad hoc sharing. For users in remote areas, the app is optimised to work on 2G networks and users don’t need an email address to sign up, only a mobile number. *Broadcast and collect information in a structured way through action cards. This includes sharing announcements; photos, videos or documents; hosting polls or surveys; assigning tasks; providing training content; marking attendance; and tracking workforces using location tracking. *Gather rich insights from data with built-in analytics. Organisations can view results in real-time, organise large amounts of information with an aggregated view of user responses, and get reports at each level of the organisation. Microsoft Kaizala Pro has premium features that include, user and group management, system integration and automation using Microsoft Kaizala application programming interface (APIs), advanced reporting and analytics, ability to publish custom actions, ability to create public groups, organisational profile and directory, and support, it said. Moreover, with Kaizala, customer’s messages, photos, video files, audio files, documents, polls, surveys, and other data is protected by encryption in-transit and at-rest. Managers can decide who has access to company data. All Kaizala data is stored in Microsoft Azure datacentres, which adhere to industry standard security and compliance certifications, it added. “Microsoft Kaizala is currently Tier-A compliant and our engineers do not have access to any customer data,” he said.